Category: LDS Non-Fiction Publisher: Cedar Fort, Inc. Available for Purchase at Amazon, Deseret Book, Seagull Book, and most LDS bookstores. From around the world and from different cultures, come powerful stories of people who gave up everything for what they knew to be true. Latter-day Saint Heroes and Heroines, Vol. 2 is a collection of twenty-four remarkable stories of stalwart men and valiant women who stood firm despite dangerous mobs, flying bullets, physical handicaps, extreme hardships and dictatorial regimes. 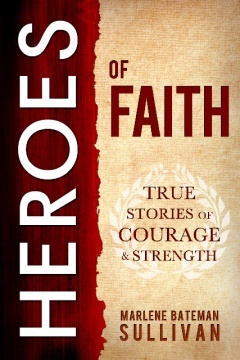 Read about soldiers who kept the faith, physically challenged men and women who rose above their disabilities, missionaries who stood up for their convictions at the peril of their lives, and other men and women who faced great trials with faith, courage, and fortitude. Your own faith will increase as you read about heroes like Dennison Harris and Robert Scott-two young men who infiltrated a group of traitorous enemies and risked their lives to uncover a plot to murder Joseph Smith. Read the story of A.C. Christensen, a soldier who was captured during World War II. As a prisoner of war, he was starved and beaten, then returned years later to serve as a missionary in the country that had held him captive. You’ll laugh about Claudius Spencer, an early-day, resourceful missionary. He donned a uniform and pretended to be a policeman in order to quiet rabble rousers so his companion could preach the gospel. Although Louise Lake was confined to a wheelchair, she traveled constantly as an ambassador for the disabled, working endlessly not only in the United States but in Chili, Brazil, Mexico, and other countries to break down barriers for the handicapped. Latter-day Saint Heroes and Heroines Vol. 2 is a moving witness of the truth of the gospel of Jesus Christ. These twenty-four powerful, inspirational stories of courageous Saints will strengthen your faith as you read about their brave actions, which bear testimony of the truth and infinite worth of their religion.